ARN and Reseller News are proud to officially launch EDGE 2019, as the fifth running of the leading channel destination conference across Australia and New Zealand. Centred around Build, 300 C-level executives will come together in a collaborative and educational environment, through an action-packed conference featuring in-depth local research, compelling business streams and structured networking. 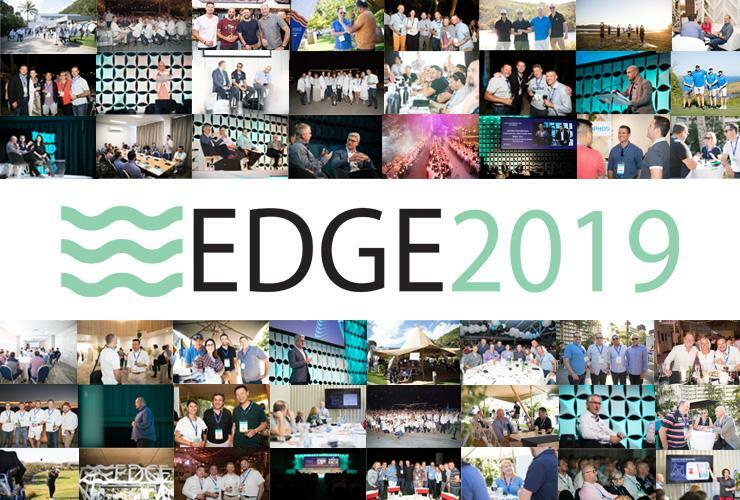 Set for Hamilton Island, the theme for EDGE 2019 is Build, which will lay out the building blocks for attainable future growth in the channel, backed by local research from Tech Research Asia. The hunt for new customers, the longing for brand awareness and the desire to differentiate stand tall as the three overriding priorities for partners in 2019. Unmistakable aspirations perhaps, but for the channel the sense of urgency is now more immediate. Yet such a checklist remains grounded by constraints around resources, budget and legacy, with the heavy burden of reality extinguishing any hopes of true transformation. The channel recognises that change is required, but partners lack direction and execution, creating a need for viable strategies and roadmaps. In response to partner demand, EDGE 2019 will run from 28 July - 31 July, with this invite-only conference allowing partners to Connect; Learn and Collaborate amid a hand-picked delegation of business executives. New Zealand partner delegates will arrive on 27 July, commencing the conference with a dedicated track featuring Kiwi research and insights. More details regarding speakers, content and agenda will be released in the coming weeks. To enquire about EDGE 2019, Australian partners click here, and New Zealand partners click here.